The 4,053 acre Pickney Island National Wildlife refuge located just west of Hilton Head Island on the South Carolina Coast also includes Corn Island, Big and Little Harry Islands, Buzzard Island and numerous small hammocks. Pinckney Island is the largest of the islands and the only one that is available for public access. 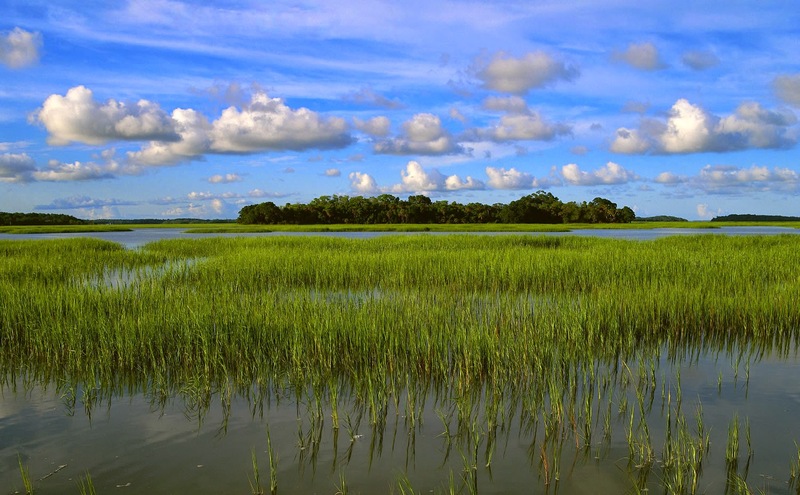 Almost 67% of the refuge consists of salt marsh and tidal creeks. A huge variety of land types are found on Pinckney Island alone, including: salt marshes, forest-land, brush-land, fallow fields and freshwater lakes. Together, these various habitats support a large diversity of animal and plant life. Wildlife frequently observed on Pinckney Island, and the adjacent islands, include waterfowl, shorebirds, wading birds, raptors, neotropical migrant birdss, white-tailed deer, the American alligator and large concentrations of white ibis, herons, and egrets. Pinckney Island NWR was established December 4, 1975, when it was donated to the Fish and Wildlife Service; from 1937 to 1975 Pinckney Island was privately owned and managed as a game preserve. The refuge is located in Beaufort County, South Carolina and is 1/2 miles west of Hilton Head Island off of U.S. Highway 278. Hilton Head SC Attractions, Reviews, Vacation Rentals, etc.